Dr. S. Chiu Wong has added an exciting new technology to his roster of minimally invasive tools. TAVR (Transcatheter Aortic-Valve Replacement) involves a balloon and a specially constructed stent (containing a tissue valve) to replace the aortic valve in the heart when it no longer functions properly due to narrowing. This narrowing is known as aortic stenosis. The stent is made of a chromium-cobalt based alloy similar to the stents used for coronary arteries. However, the procedure is more complex than stenting of an artery as it involves the aortic valve, the largest valve in the heart. 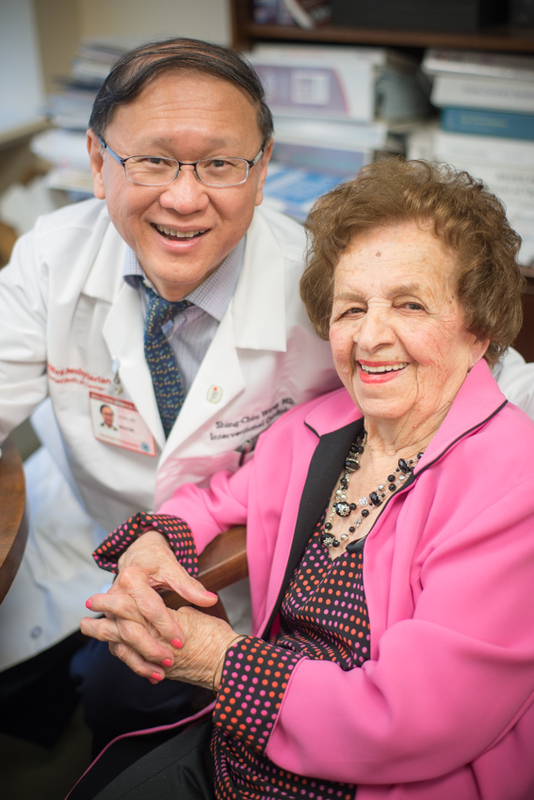 “The aortic valve is the main gate of the heart,” explains Dr. Wong, “if it becomes narrowed, you can imagine how difficult it is for the patient, since that valve must feed the entire body with blood. Fibrosis and calcium deposits can form like a rock, creating much pressure, making it very difficult for the valve to open and let blood through. It is a physiological problem.” He notes that cholesterol-lowering drugs have been tried in patient with non-severe aortic valve narrowing but were shown to make no difference on the valve function or progression of narrowing. As a result of their efforts, Dr. Wong and colleagues (along with 24 other medical centers in US, Canada and Germany) completed the pivotal PARTNER trial which resulted in two landmark papers in The New England Journal of Medicine. It was shown that at the one-year mark, after receiving TAVR, there is no difference in the rate of death between having a surgery or receiving TAVR for high risk and in the “no option” patients, TAVR results in a 45% relative reduction of mortality compared to medically treated patients within a year. Additionally, at the three-year mark, it was shown that there is no difference in the risk for stroke for patients who underwent surgery versus TAVR. Whether considered “high risk” or “no option” it is now clear that there is an effective option on the map for aortic stenosis – and it is minimally invasive. For the over-70 set, TAVR is a welcome solution, and as Mary attested, it can bring a new lease on life.